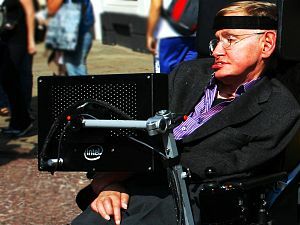 via Religious leaders hit back at Hawking – CNN.com. As we go to worship tomorrow, let’s be reminded that our faith is not a “god-of-the-gaps” faith that simply plugs our tattered plans. We worship an all powerful, sovereign God who has redeemed us with purpose, because he created us with purpose. thanks, Geoff. if i get fired for writing this, can I stay at your house? Reading his books – it is as much theory and conjecture as anything I’ve seen. There is more whining in the sentences of his book than any “irrefutable” scientific proof. He comes across as condescending and complaining. It is sad really… I guess its easier to say that God doesn’t exist than enter into any kind of dialogue (be it angry or otherwise) with Him.